I love the simplicity of crayon resist art. It seems when the weather gets cold we turn to winter art projects a lot. 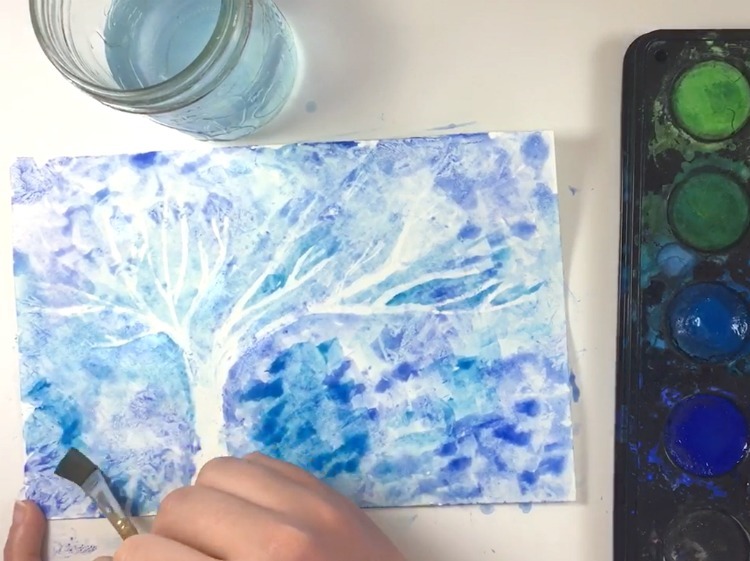 Crayon resist is definitely one of my go to art projects for kids – so easy and so pretty. We first did this winter art project 5 years ago! At that time I remember how much I loved it because ALL of my kids – then 11, 3, and 1 could participate. Well, Benjamin (who was 1) participated by making some marks with the crayons (and tasting them of course) and then doing a few dots of paint before losing interest. But I still count that as participating! 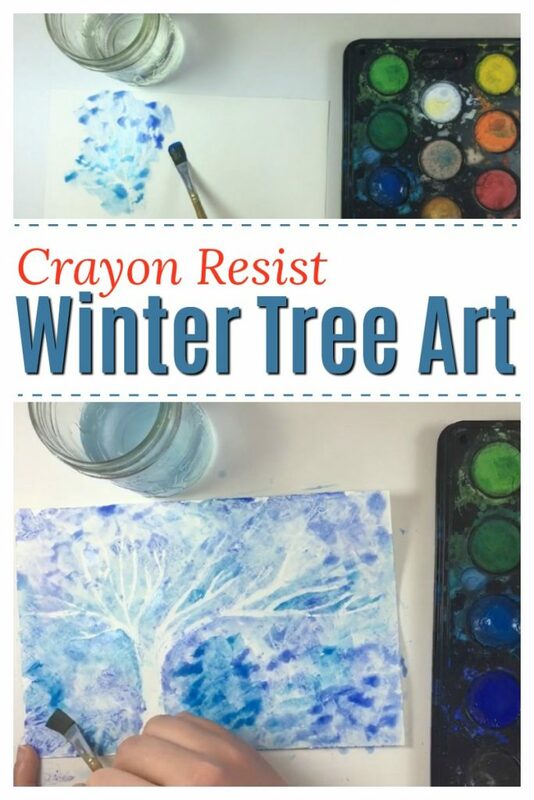 We just did this watercolor winter tree crayon resist art project again on the weekend – and AGAIN all of my kids loved it!! Well, not Ms. Norah – turns out 2 months is a bit young for this art project. But my 16, 8, and 6 year olds were engaged and happy. It’s not every art activity that can accomplish that! To make this winter art landscape we used paper, crayons, and water colour paints. That’s it! And the process is simple allowing for lots of child-led creativity. 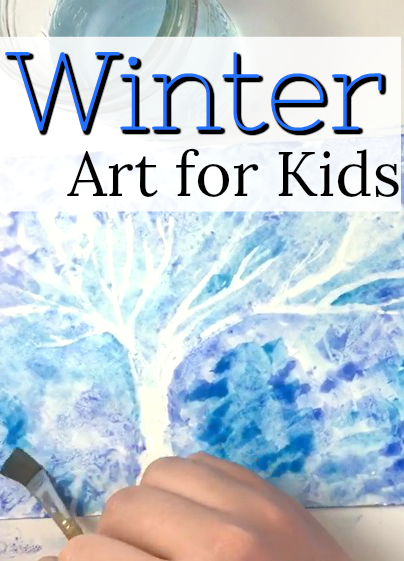 Madeline made this video of her winter art landscape – she did a great job! First, the kids drew a picture using white crayons. 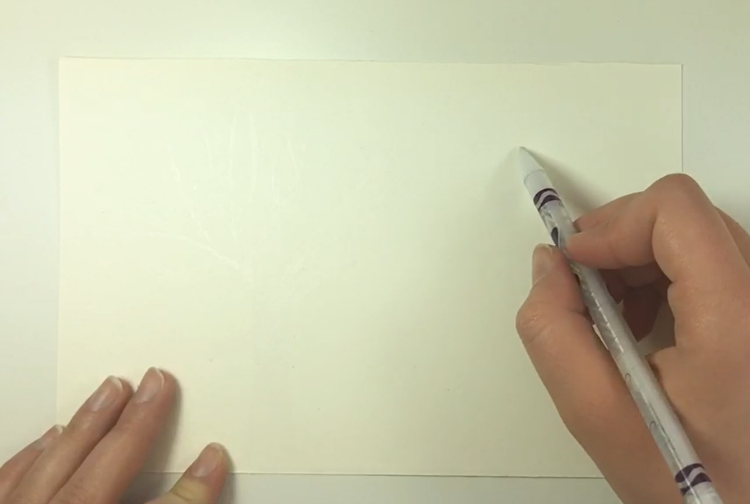 Any white crayons will do, we just happened to be using some fancy ones. Madeline drew some bare winter trees for her winter art landscape. Then the kids painted over their drawings with watery water colour paints. 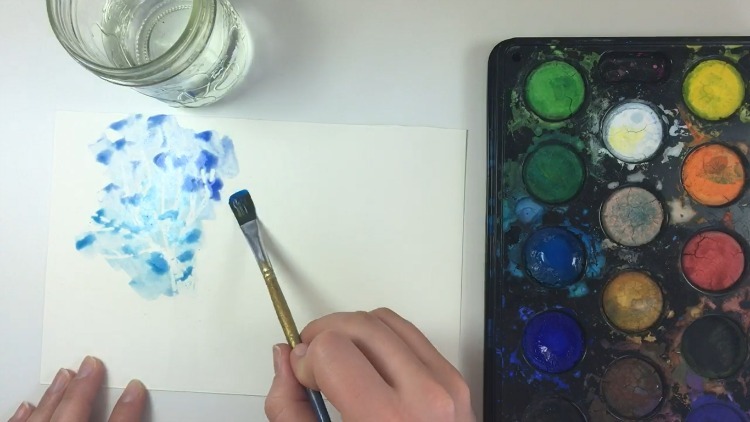 Madeline used blends of blues and whites. The trick, I have found, is to use lots of water. This helps both with the blending of colours and in ensuring the crayon resists the paint. 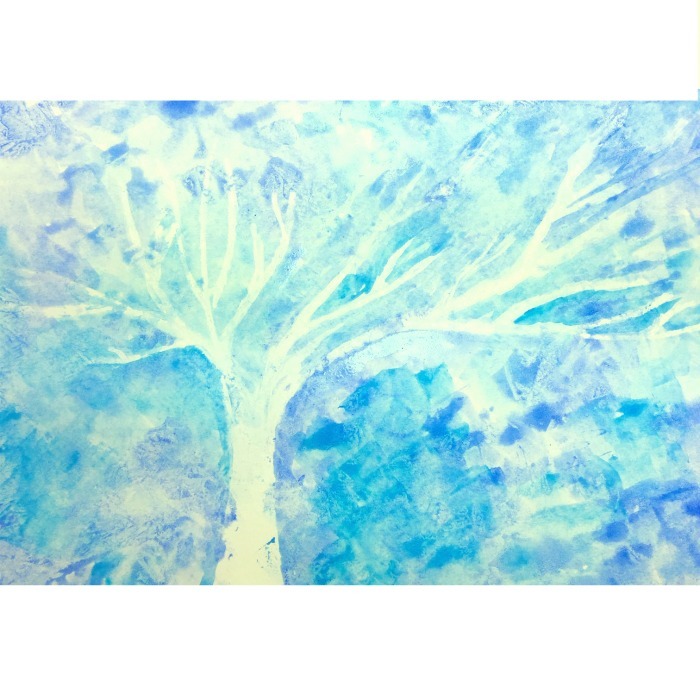 I think this winter art activity was a success – and the winter landscapes look beautiful! I think they will get framed (which we do by using sticks from the backyard … it’s how we roll around here) and hung in our kitchen. 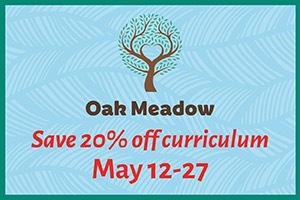 All of my kids seem to love the arts: visual art, drama, singing, music – the whole shebang! 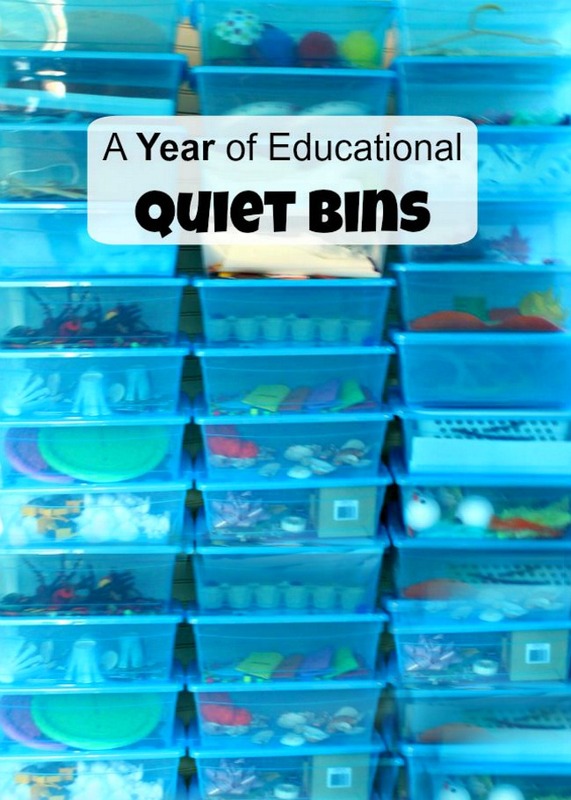 This is quite fortunate for me as I can easily differentiate these activities to suit the many levels of abilities in our home. Art is one of my wee ones very favourites, and I find I look forward to it as well. 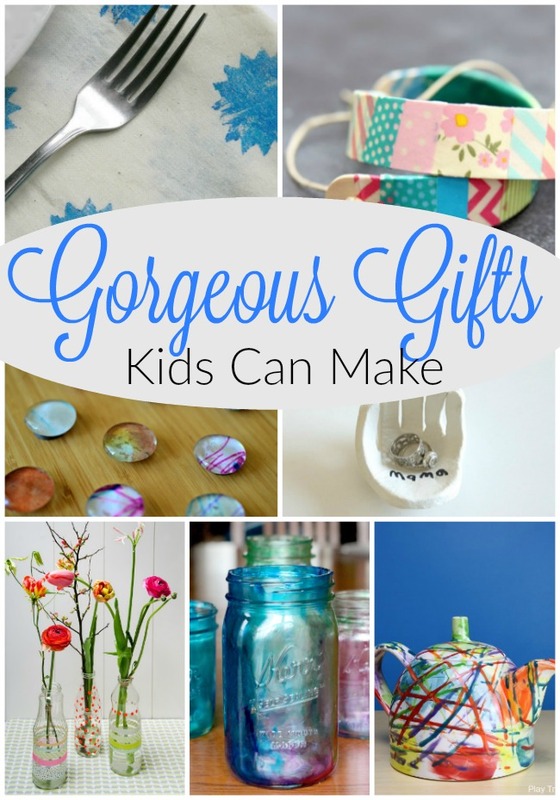 I love seeing how creative my kids are – and how much they learn, grow, and change all of the time. Today was a good day. I hope yours was too! « Turn Milk into Plastic! What a beautiful art activity! I love the simplicity of it, espcially the monochromatic colours! Thank you so much for the feature Anne! !